It’s been a busy week in World of Books, with visits to Rosebank, Clepington and Claypotts Castle primary schools in Dundee to talk about Crazy Creatures. Hello to everyone I met there and thankyou for all your enthusiasm, your excellent questions and letting me see your fabulous posters. Hope to see you all again soon. There’s a chance to try a sample chapter of The Chaos Clock in an ebook sampler from Floris Books’ Kelpies here. 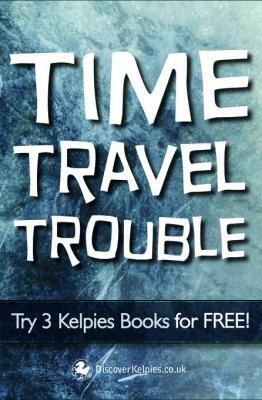 The sampler also includes chapters from The Accidental Time Traveller by Janis Mackay and Nicking Time by T. Traynor – and it’s free. What are you waiting for?